Find a beautifully restored Ski Chair Lift for sale here. Order one for half of what you can expect to pay elsewhere. 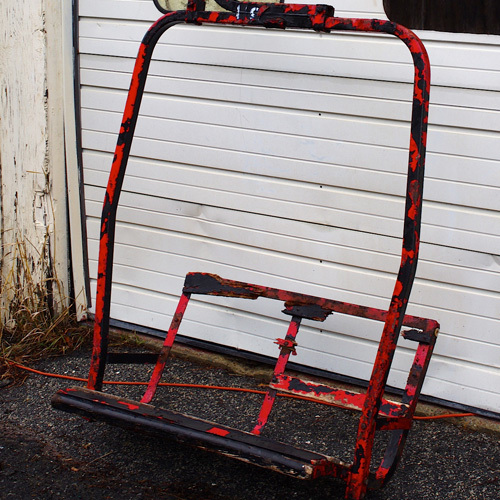 From the slopes of a popular U.S. ski resort to your own backyard, garden, or porch, we lovingly refurbish these decommissioned Ski Chair Lifts by hand, to restore them to the original condition. We source our lifts and get them directly off ski resort mountains. 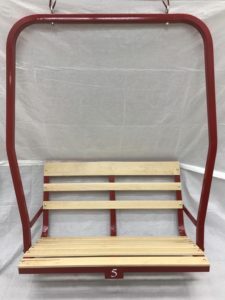 Each Ski Chair Lift for Sale are refurbish by hand, with meticulous attention paid to the tiniest detail and absolute cognizance given to safety standards, so you can enjoy all the dreamy, weightless swaying of a Ski Chair Lift, all year round in your own backyard. Superbly restored, each Ski Chair Lift For Sale comfortably seats 2 x adults (with a carrying capacity of up to 600lbs). It brings the spirit of the skiing adventure to your outdoor leisure area, adding a dynamic ambience to any setting. You will find the installation of the neatly supplied components is as simple as 1-2-3. 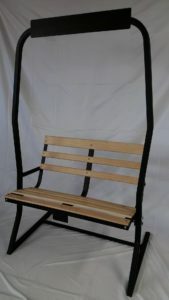 The unit consists of a restored ski chair lift (constructed from charmingly refurbished steel frame and maple wood slats) and is fitted with new swing springs which can support up to 600lbs It also comes with standard mounting fixture eye hooks to attach to the springs to the ski chair lift. 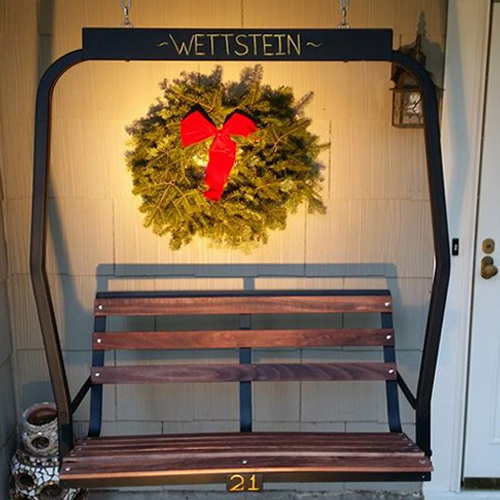 Each piece of furniture comes with a face plate centered across the top of the chair where we can add your family name, house number, or any other phase you wish. You can further customize your unit by opting for custom color finishes on your unit’s steel frame or choosing a different wood finish for the slats, such as Teak or Mahogany. These options are available as upgrades from the standard black finish on the frame and the natural Maple wood finish of the slats. As is, the Ski Chair Lift provides stylish seating. It creates an inviting focal point on your veranda, bringing romance and ambience to any setting. You can throw in some finishing touches of your own once your unit is installed, by adding some soft cushions if you like. 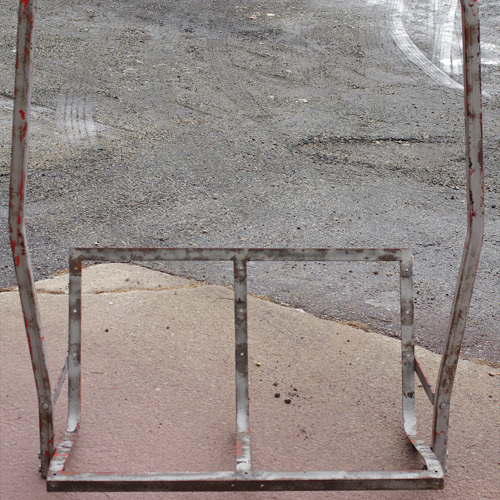 You can be happily hanging-out in your beautifully crafted Ski Chair Lift in no time. Order your Ski Chair Lift for only $1,795. Available for local Pick up, delivered locally to your door (NJ/NY Area) -or- Shipped via freight carrier. We accept payment by credit card (MasterCard, Visa, Amex, Discover Card).